Guatemalan artisan Zandra Lorena Sajbin chooses to work with jade due to the stone's cultural significance for people of Mayan descent. She crafts this necklace from sterling silver, hanging a light green jade heart from a mariner chain. 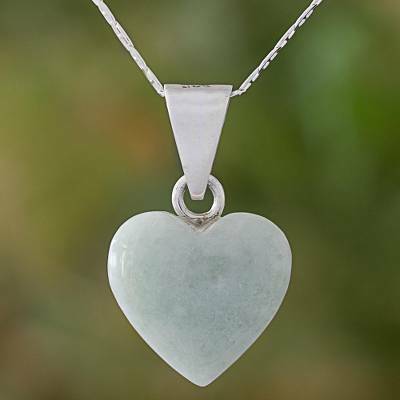 You can find jade pendant necklace 'Mayan Heart' by Zandra Lorena Sajbin in jewelry categories such as Maya Necklaces, Heart Shaped Necklaces, Jade Necklaces, Silver Necklaces, Sterling Silver Necklaces and Pendant Necklaces. Enjoy exploring these sections for other Novica treasures.